Completely renovated beach house with your own parcel of sandy beach! This beautiful 3 bedroom, 2.5 bathroom pool home with deeded beach access is move-in ready with a NEW ROOF, NEW A/C and NEW WATER HEATER! 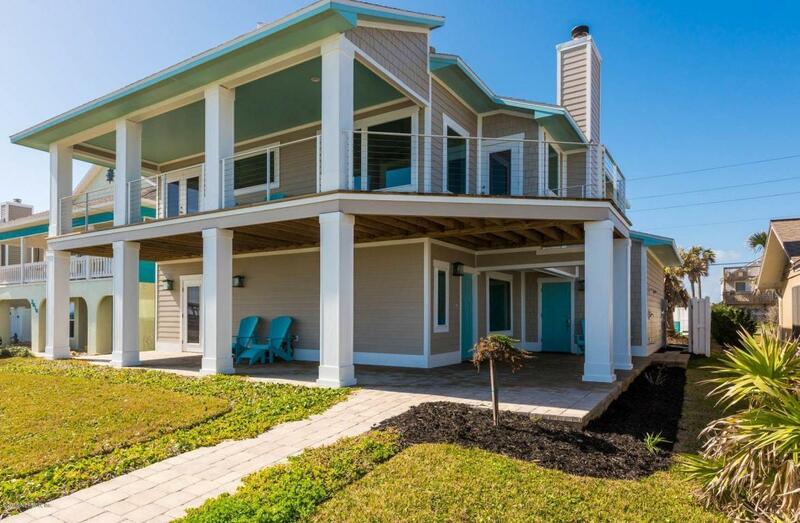 Enjoy amazing ocean views from throughout this beach-lover's dream. Ocean view kitchen offers quartz counters, stainless appliances and a breakfast bar. Upstairs master bedroom has double shower with separate soaking tub. Luxury vinyl plank flooring, great natural lighting and impressive paint palette combine to make this the perfect choice for those looking to live by the ocean. Relax by the pool, stroll on the beach or warm yourself by the fireplace on cool nights. Great choice of popular restaurants nearby.